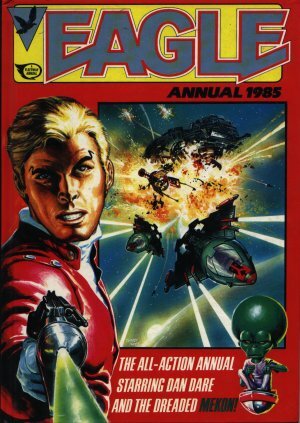 Eagle Annual 1985 sees the new formula annual well and truly into its swing, with a regular 25p prize rise again. Doomlord sees pointy-eared aliens transferring knowledge by holding hands to another's head. I wonder where they got that idea, Spock? Dan Dare meets Donald Duck - honestly !